If your food comes from your backyard, you’ll always know where it came from. My wife and I have been talking about being a bit more self sustaining at home. ; and being more aware of where our food comes from. The first step was building a garden for her to grow us some awesomely delicious food. 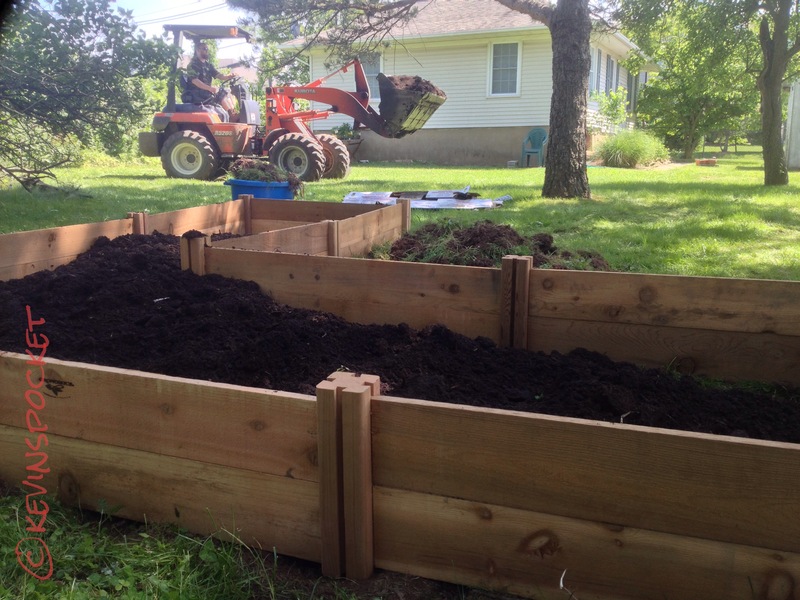 We started with three cedar raised bed kits, some chicken wire, fence posts, landscape fabric, and lots of dirt. Each of the kits come with enough pieces to create a four by four foot bed, but when you combine kits, you can create a much larger growing area. 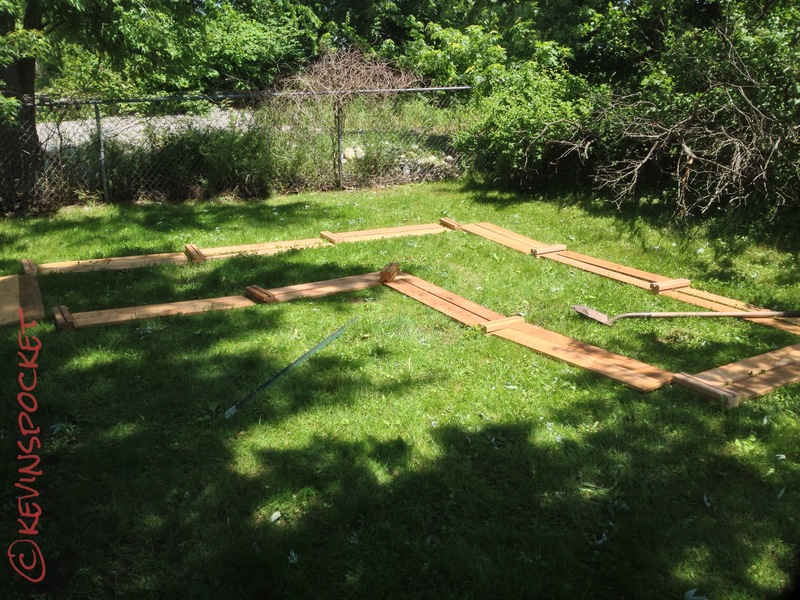 We determined that creating an “L” shaped bed would optimize the kits, and give us the most usable space. First step was plotting out the kits in the yard. We put the rest of the kits together to create a corner shaped garden – giving us about 20 square feet of growing space. Next step was to enlist a neighbor to help us load the dirt. Living in a small house amongst farmland has its perks. We brought the new soil in via the front loader, and quickly filled the bed. 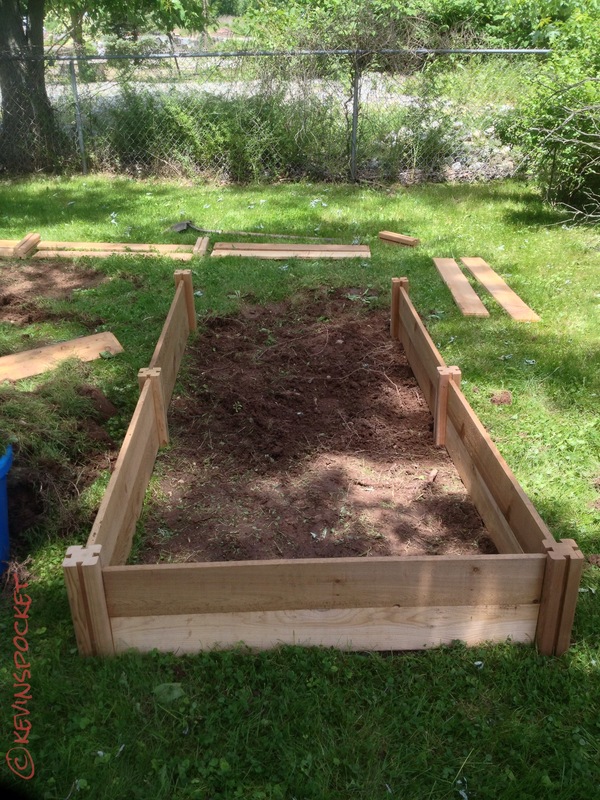 Once we got the bed dirty – it was time to fill it with plants, and seeds. 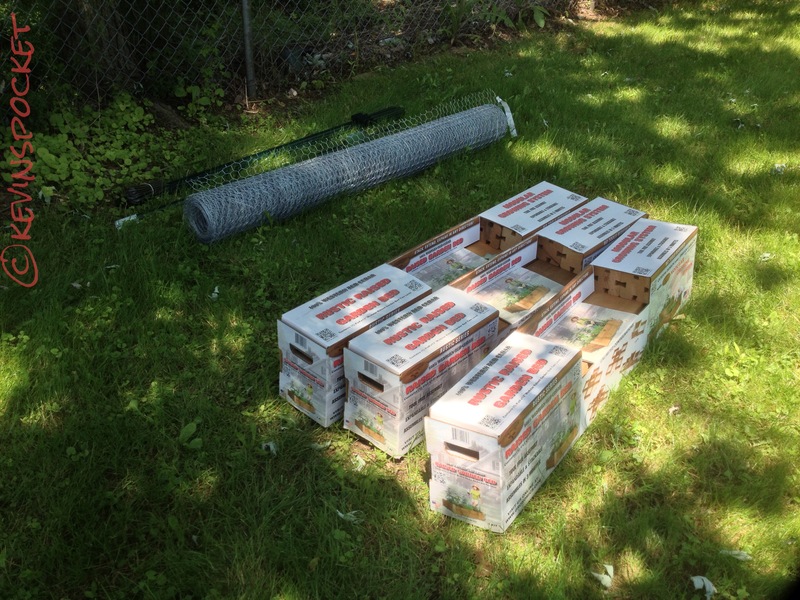 I drove some posts into the ground as the first phase of our tactical defensive against the deceivingly cute bunnies that may want to eat my veggies, while my wife planted the land. 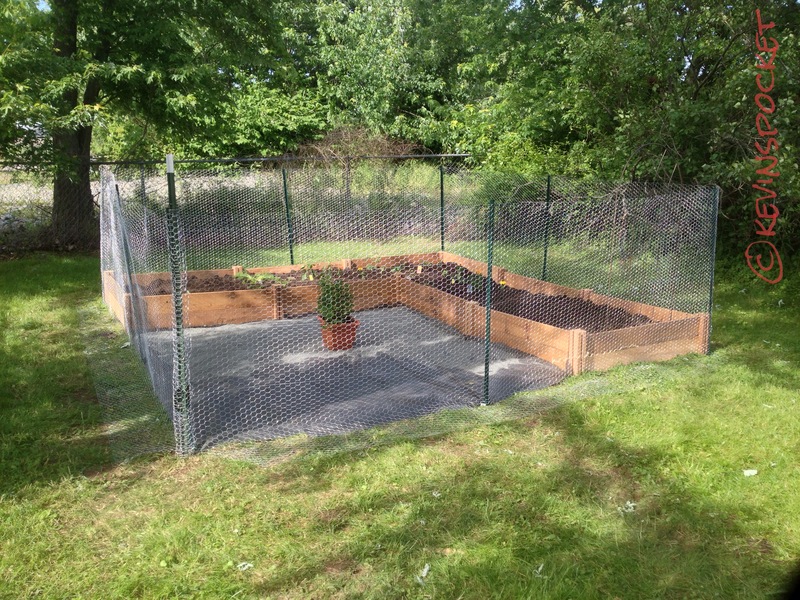 We laid some landscape fabric down in the open section of the corner, and fenced the whole area in with chicken wire. The whole project took the majority of the day, but came out just as we had planned, if not better. Next project is to learn how to dehydrate and can things for winter. Nah, your next project will be weeding. ;-) Good luck!